The Ellen Eccles Theatre Presents season provides a broad spectrum of the finest performing arts available. Many local performing companies also utilize the Theatre including Utah Festival Opera and Cache Valley Civic Ballet. The atmosphere is magical, the space intimate, with flawless acoustics, exquisite sight lines, and state-of -the-art equipment. 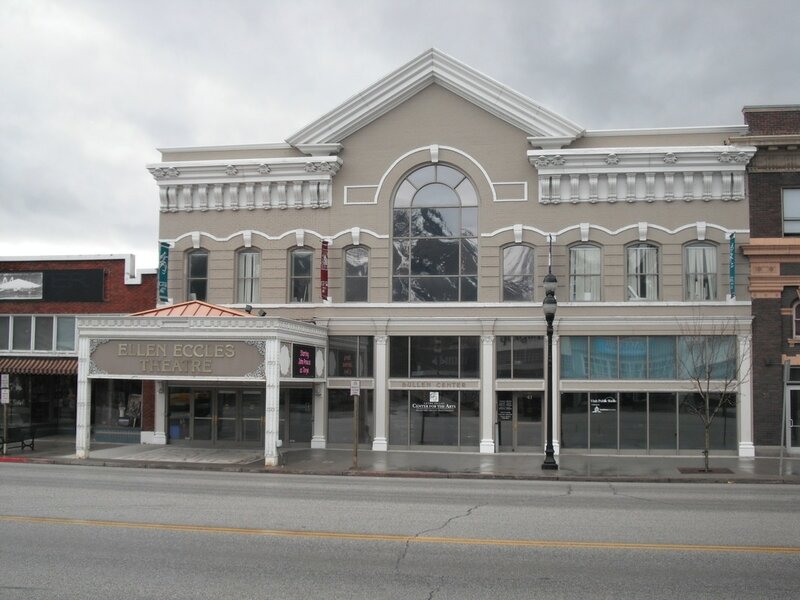 Just like ancient Egypt’s mythological Phoenix, the Ellen Eccles Theatre has been revived as the “Crown Jewel” of entertainment for Northern Utah and Cache Valley. This European style theatre accommodates 1,100 patrons and is a superb example neoclassical design. The restoration transformed a run-down movie house into a 350-seat, state of the art facility dedicated to creativity and excellence in the performing arts. 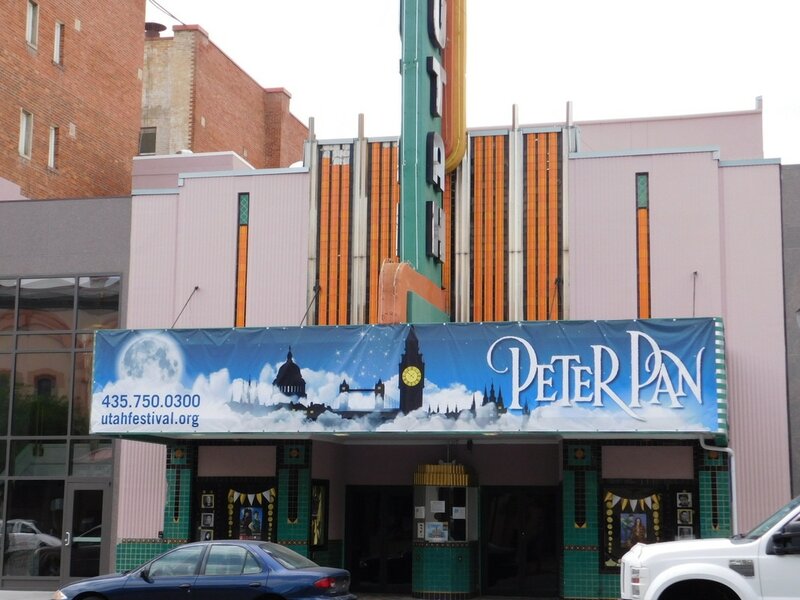 The Utah is a high-class venue for theatrical and musical productions as well as classic movies. It is also the home of the Mighty Wurlitzer Organ, which provides the rare opportunity for classic silent movies to be screened with live organ accompaniment. Newly restored and expanded in the summer of 2001, "The Crown Jewel of Center Street," opened to the public with a performance of Peg O' My Heart, and was renamed the Caine Lyric Theatre. The restoration and expansion included a new lobby/reception area, restrooms, storage space, green room, dressing rooms and gallery. The theatre celebrates a history of more than 150 productions and more than 1200 performances since the original opening of the theatre. The Artists’ Gallery is a fine art gallery in the Bullen Center that is filled with the artistic works of local Cache Valley artist. The diversity and quality that will be showcased in the gallery offers a compelling reason to come to the gallery! Families can learn about local artists and find mentors. Attractive purchases can be made for gifts, for home or business, or expanding your art collection. The Logan Tabernacle is a tabernacle of The Church of Jesus Christ of Latter-day Saints (LDS Church) and is located in Logan, Cache County, Utah. It is the site of many local celebrations, including the city's annual Summerfest Arts Faire. Built in 1900, the Dansante Building has played a central role in the social life of the Cache Valley community for a century. For decades it served as the valley's premiere dance hall, hosting as many as 3,000 people on major holidays. If its walls could speak, they would echo laughter, music, and romance. Thanks to generous anonymous donors, it has been fully renovated and expanded to a 45,000 sq. ft. facility that now houses the company's administrative offices, a 124-seat recital hall, practice rooms, rehearsal halls, and wig & makeup, prop, costume, and scene shops.